The USC Division of Biokinesiology and Physical Therapy is committed to the advancement of evidence-based practice in rehabilitation. Over the years, the Division has moved strategically to develop a comprehensive capability and reputation for conducting clinical research trials. This has been quite successful and a major reason for the dramatic increase in research funding coming to the Division. 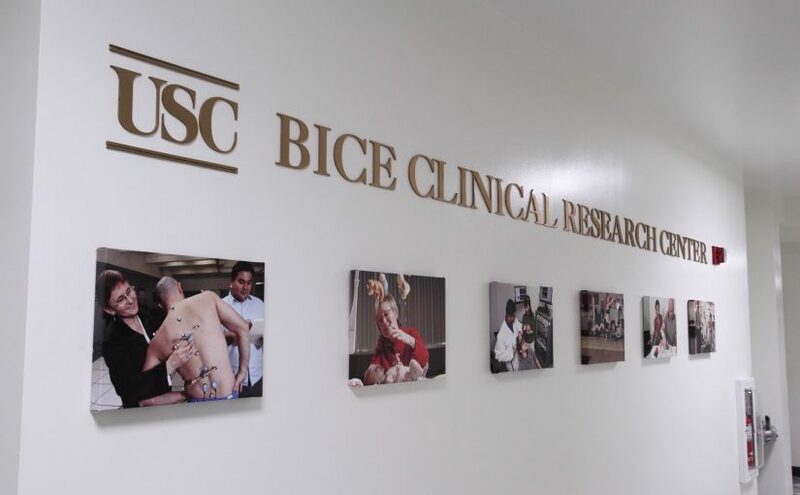 Nevertheless, to continue to develop our capability in this area, in 2010 the Division established the Bice Clinical Research Center, a specially designed facility for testing human research subjects and patients. A key aspect of this facility is that it has attractive and comfortable amenities for patients and their families so that they will continue to participate in the Division’s clinical research projects. A dedicated clinical research center enables the Division’s research faculty to continue to attract collaborators and to be successful in obtaining outside funding for clinical research. The Center was named for Ms. Kathleen Bice’s father, in recognition and gratitude for her pledge of the lead gift of $150,000 to establish the Center. Ms. Bice is an alumna of the class of 1969 and a former Division Assistant Chair. Ms. Bice was also the inagural chair of the Division’s Board of Councilors.